Community Sponsorships available! Please consider supporting our conference! Thank you to C-NET for providing coverage: See scenes from the day here! Take a look at their Diversity and Inclusion initiatives! Meeting on the first Tuesday of each month to further our mission: The Community Diversity Group brings diverse peoples together to cultivate inclusive, engaged communities. Meetings are open to the public. 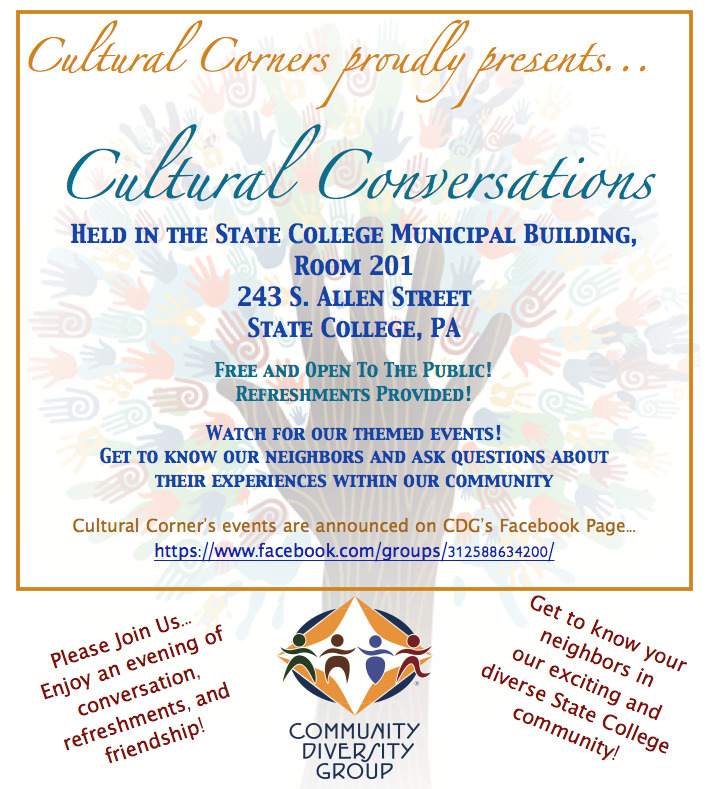 Click Below for scenes from our February Event, Celebrating Black Lives in Centre County, February 2018! Thank you to our speakers and attendees! Our monthly meetings are engaging, inspiring and fun but that's not all we do...Find out about our organization, mission, our methods, and the results of our years of advocacy and community building.